Stockholm Exergi and Datacenter in Rosersberg AB, a wholly owned subsidiary of Ericsson, have signed a deal for the supply of cooling and heat recovery for Ericsson’s new data center in Rosersberg, north of Stockholm. By selecting Stockholm Exergi’s solution for cooling its Global ICT Center (GIC) Ericsson can reduce capital costs and obtain significant operational savings, while achieving considerable environmental benefits. 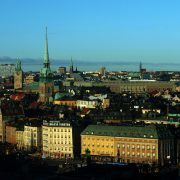 Stockholm Exergi supplies chilled water with heat recovery from the plant’s data servers. 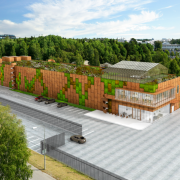 The heat is reused to heat homes and offices that are connected to the company’s district heating network, instead of the excess energy being wasted at the data center. The agreement includes the supply of cooling of 10 MW and 80 GWh of recovered energy per year. The excess heat is enough to heat 15 000 apartments. Besides the financial benefits, the deal is expected to reduce carbon dioxide emissions by an equivalent of 4 800 tons per year. “We are working hard to get more data centers to Stockholm. 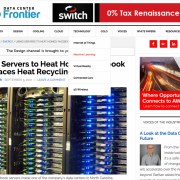 Our solutions for data center cooling and heat recovery provide major benefits to both customers and the environment. Stockholm is an attractive location for ICT companies in general and with our data center cooling offering, customers get a clear competitive advantage”, says Peter Sivengård Business Development manager at Stockholm Exergi. The new data center in Rosersberg is planned to be operational in the autumn 2017. Open District Heating® is a registered trademark in EU, owned by Stockholm Exergi.